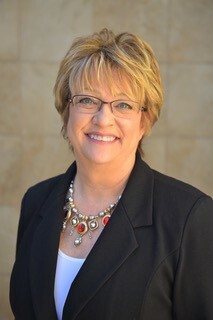 Therese Merrill graduated with a Bachelors Degree in Nursing from Fort Hays State University in Hays, Kansas. Her 30-plus nursing career has been varied in both clinical and non-clinical aspects. Her clinical experience includes Maternal/Child Nursing, Community, Staff and Patient Education. Her roles have ranged from staff nurse to administration, such as staff nurse, charge nurse, community education coordinator, women’s program manager, director of education, and director of women’s center. Therese then took her career into the sales and marketing arena as a pharmaceutical sales representative. After a successful career in the pharmaceutical industry, she combined her clinical, management, sales, and marketing skills into an entrepreneur in holistic health and wellness. She is very passionate about educating and inspiring others in complementary modalities for health and wellness. When she learned about the ‘M’ Technique®, she wanted to incorporate this into her business as well. She loves that not only can she assist others in learning and achieving the benefits of the ‘M’ Technique®, but she knows when performing an ‘M’ Technique® session, she receives the same benefits as well! When Therese and her husband aren’t in their Las Vegas Aromatherapy business location, they enjoy spending time with their family, especially their three grandchildren! Therese is a member of the American Holistic Nursing Association. She is available to teach the ‘M’ Technique® courses locally as well as nationally.